This summer I embarked on the journey of a lifetime with Trek America on their Mountie tour – a classic Trek America road trip experience. 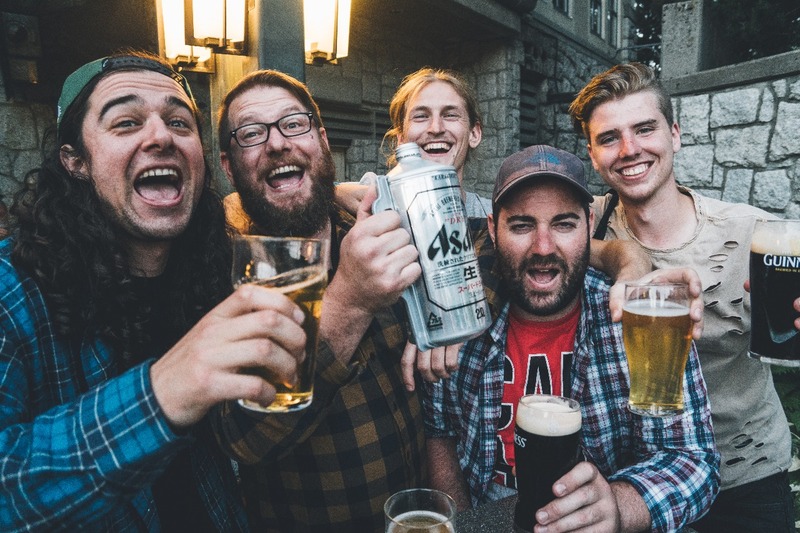 The tour takes you across the Canadian Rockies through British Columbia and Alberta, two provinces located in the West of Canada. 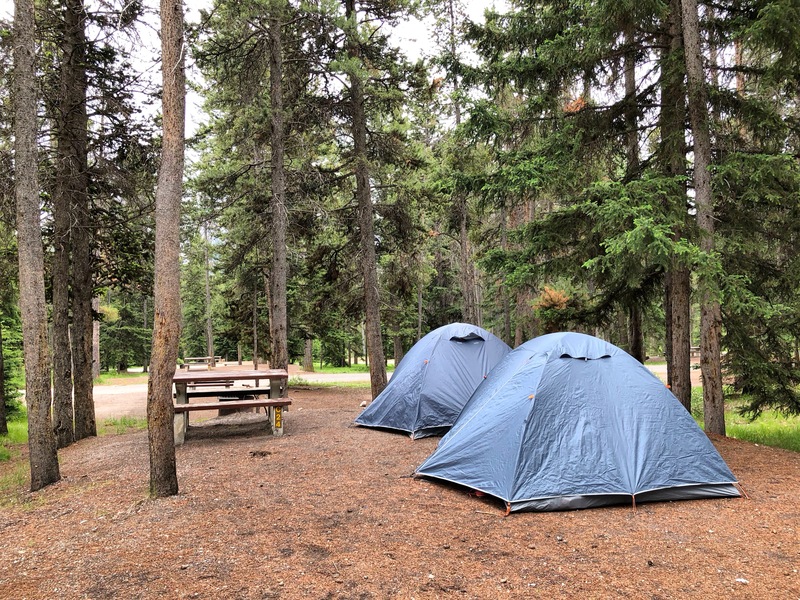 The trip mostly focuses on enjoying the great Canadian outdoors by hiking and camping out in the Canadian wilderness and visiting some of the most beautiful national parks in Canada along the road trip route. It was an action-packed adventure for sure, and I was lucky to jump on board the #iTrekHere Trek America annual blogger trip held every year. This blog post is a walk-through of our Trek America Mountie Tour trip itinerary so you can see what we got up to over the course of 10 days. 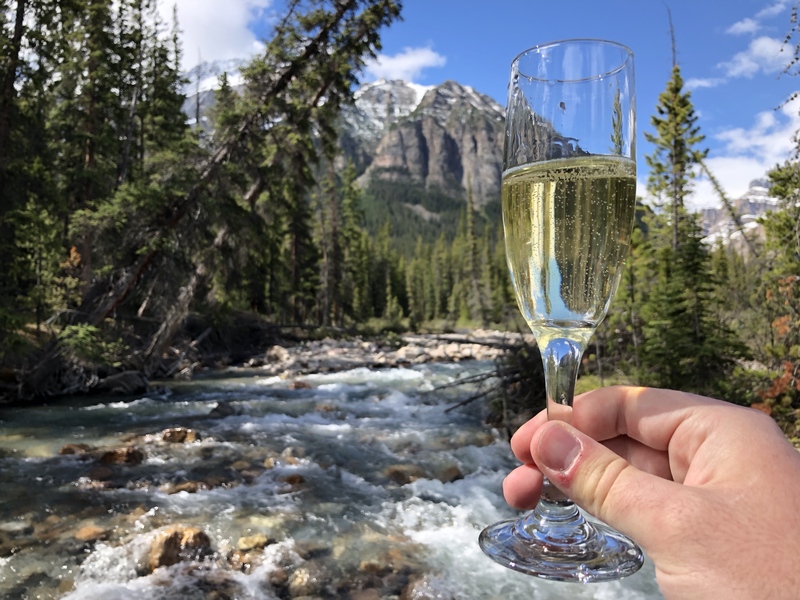 Find out for yourself if travelling around the Canadian Rockies with Trek America might be your cup of tea. Let the Canadian Rockies adventure begin! We began with a stop-off in Calgary, as this was the starting point of our tour. We explored downtown briefly before sleeping off our jet lag and then heading for our first Tim Horton’s visit (a classic Canadian coffee shop), and also a quick supply pick-up from Walmart. We grabbed supplies such as sleeping bags which we would need for the rest of the week. Onwards to Banff National Park to pitch up for our first night sleeping outdoors. Banff National Park is the oldest national park in Canada, and the second to be set up in the entire world. This location has a lot of history, as well as a cosy little town and wonderful trails worth exploring. Off the bus we hiked up Tunnel mountain, which funnily enough got its name because they were going to build a tunnel but didn’t in the end. 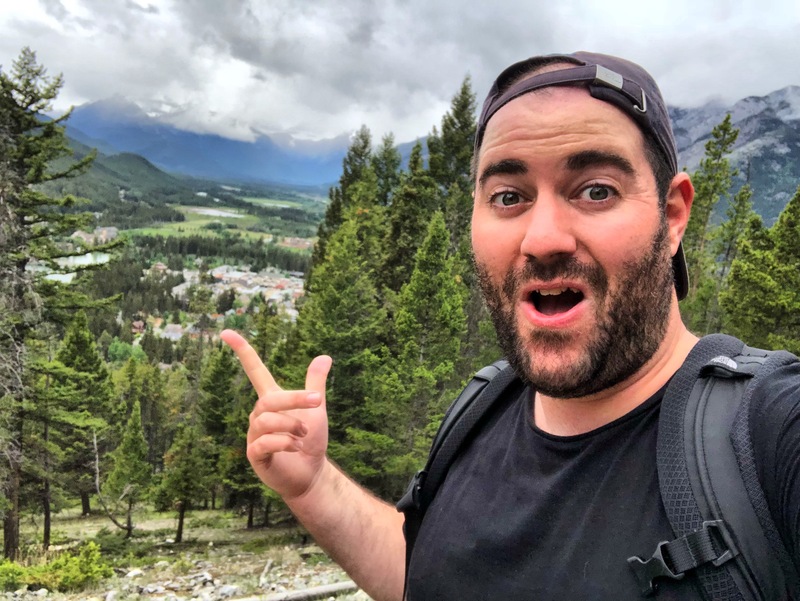 A nice easy first day hike, which can easily be done in a few hours for wonderful views over the town of Banff from above. Definitely a nice warm up hike for what was to come over the next few days. That evening we had dinner at Park Distillery, who distil their own liquor on site and have a wide selection of local drinks, cocktails and dishes worth trying. It’s a great place for evening dining. 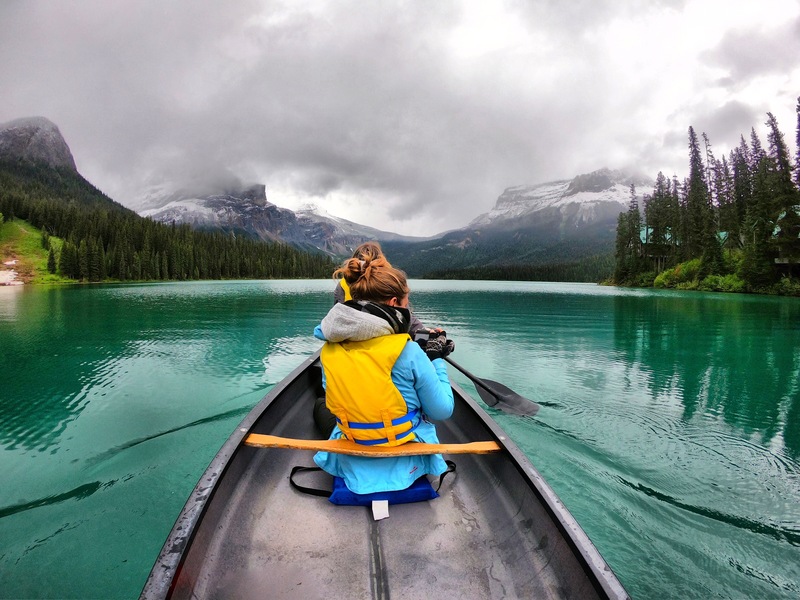 I don’t think it can get any more Canadian that going out on the iconic Emerald Lake in a Canadian canoe! An awesome experience and a wonderful lake to explore by Canadian canoe. Be sure to give yourself a couple of hours to explore the waters and take in the stunning surroundings as you enjoy this popular Canadian past time. 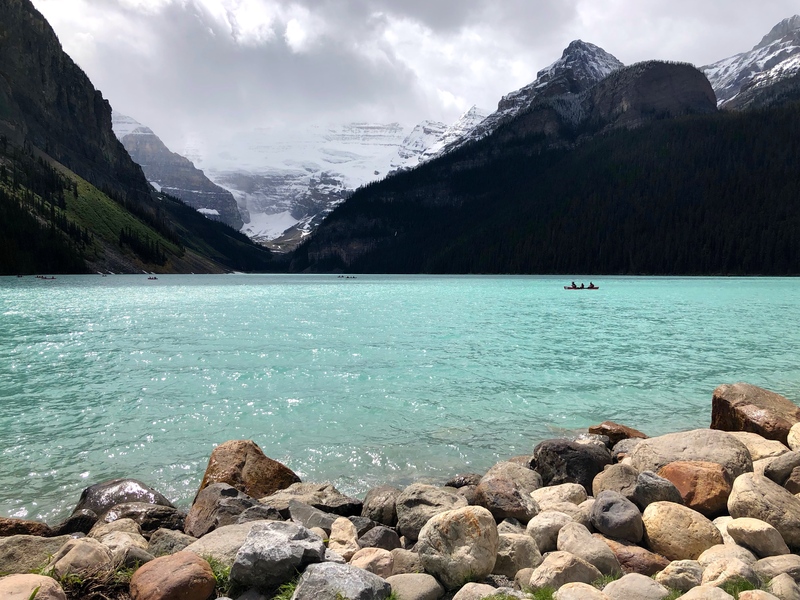 A popular stop off in British Colombia, Lake Louise is a hamlet area in Banff National Park in the Canadian Rockies and is easily accessed from Banff town centre. Lake Louise is a must-do stop off location to enjoy the surrounding scenery. Known for its turquoise, glacier-fed lake ringed by high peaks and overlooked by a stately chateau, this is an ideal picturesque location to snap a pic for Instagram. Hiking trails wind up to the Lake Agnes Tea House for incredible bird’s eye views. Also you can canoe on the lake in summer, and go ice skating on the frozen lake in the winter. Be sure to stop off and check it out on your Canadian Rockies road trip. 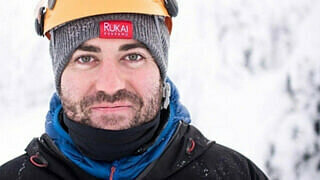 You must have heard about heli-skiing, but have you heard about heli-hiking? 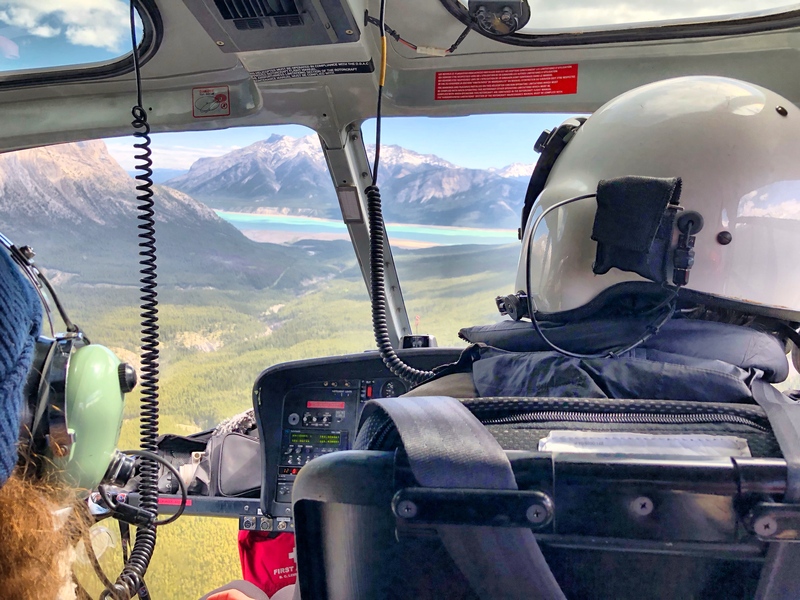 Following a similar concept, take a ride in a helicopter to explore unique hard to reach areas of Banff National Park and follow some unique hiking trails to some remote scenic spots. Enjoy Canada from above to get a draw-dropping bird’s eye view over glaciers, mountain tops and surrounding lakes. 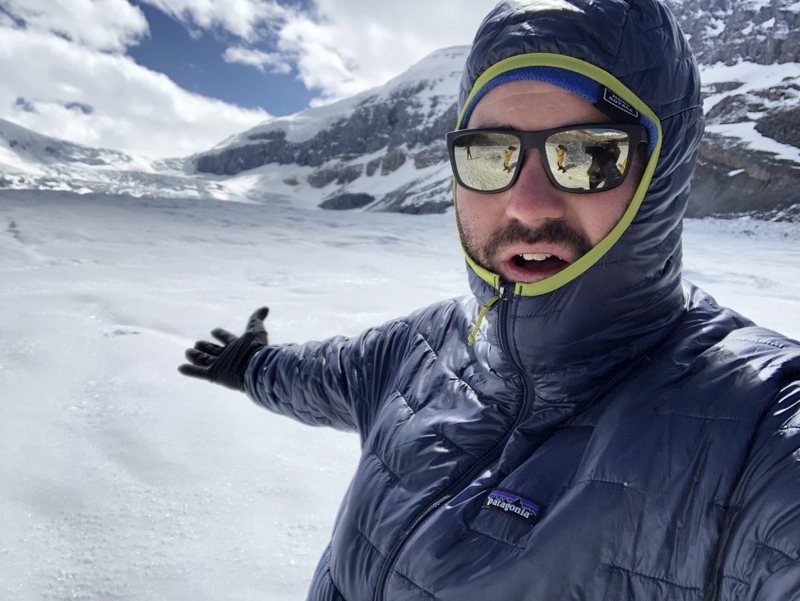 I’ve put together a separate blog post all about Heli-hiking in Canada. 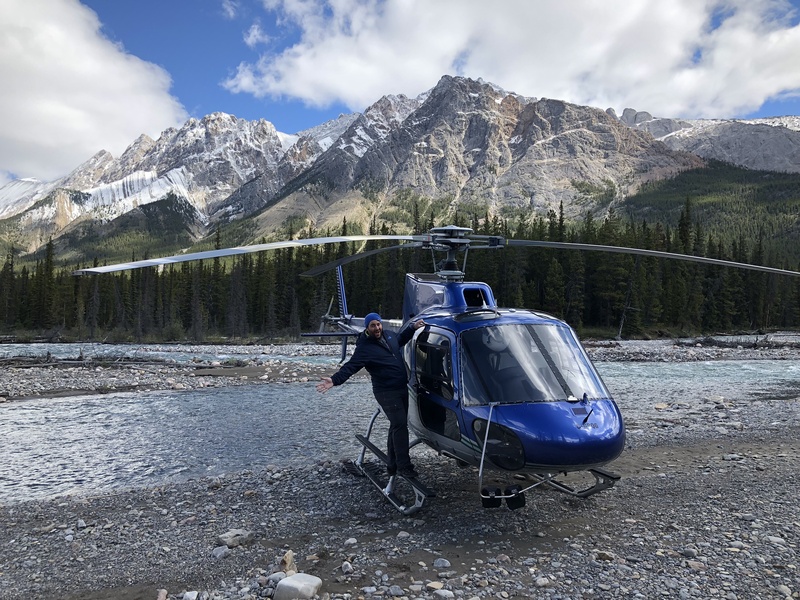 This was travelling and hiking in style, and one of the many fun options you can take on your Canadian Rockies adventure. 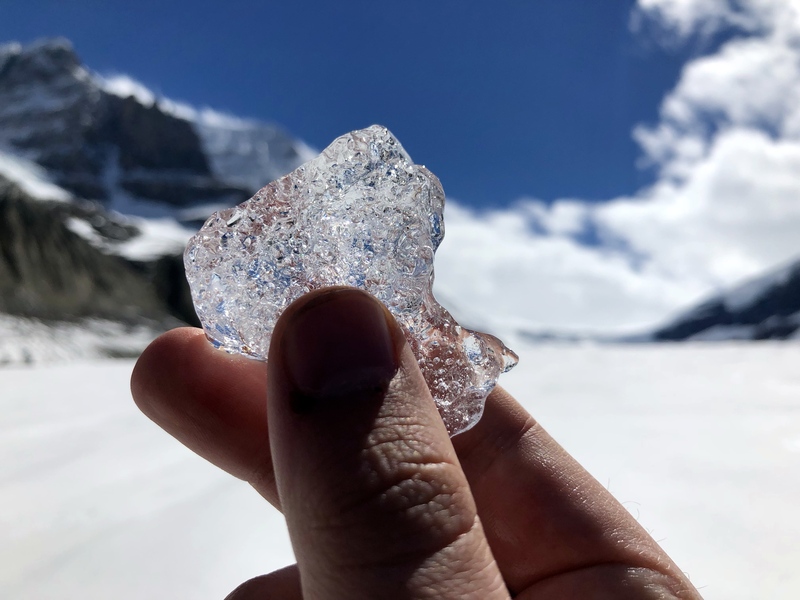 The Colombia mountain range is home to the five fingers glacier, and Athabasca Glacier happens to be one of those fingers. The drive from Banff to Jasper takes you along the Icefields Parkway which is considered to be one of Canada’s most scenic drives. Oh boy – this route will not leave you disappointed. Be sure to bag the front seat for the best views all day for sure! 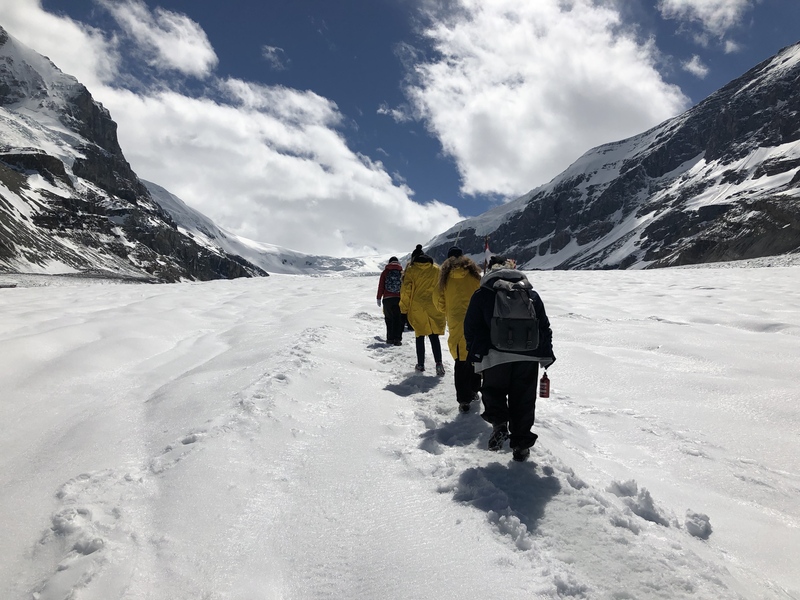 Not only did we manage to get a good look of the Athabasca Glacier from a distance (which is possible from the visitor centre), but we even managed to get up on top and hike across the glacier. What a buzz it is to stand on a glacier and see the surrounding rock formations that have been formed over many thousands of years. We went with a glacier guide who supplied all the equipment we needed and shared with us loads of information which was super informative and made the whole experience worthwhile. Totally one of the major highlights of this Mountie tour, I loved every moment of it. Peyto Lake is a glacier-fed lake in Banff National Park located in the Canadian Rockies. The lake itself is easily accessed from the Icefields Parkway and makes for an epic stop off along the route. 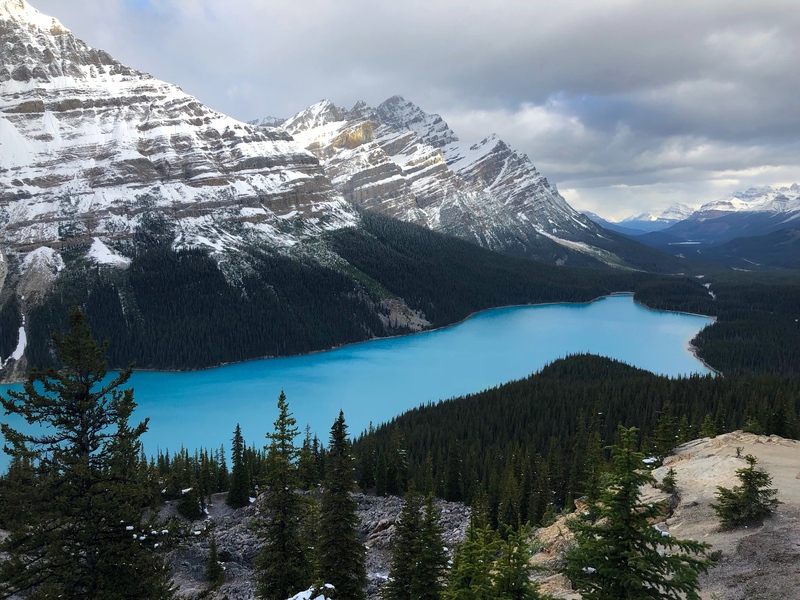 Peyto lake was named after Bill Peyto, an early trail guide and trapper in the Banff area. Your guides will share with you many stories about his antics and why he become so popular in the area. Totally worth a stop just for the unique glacier water colour and stunning surroundings. Be sure not to miss it. 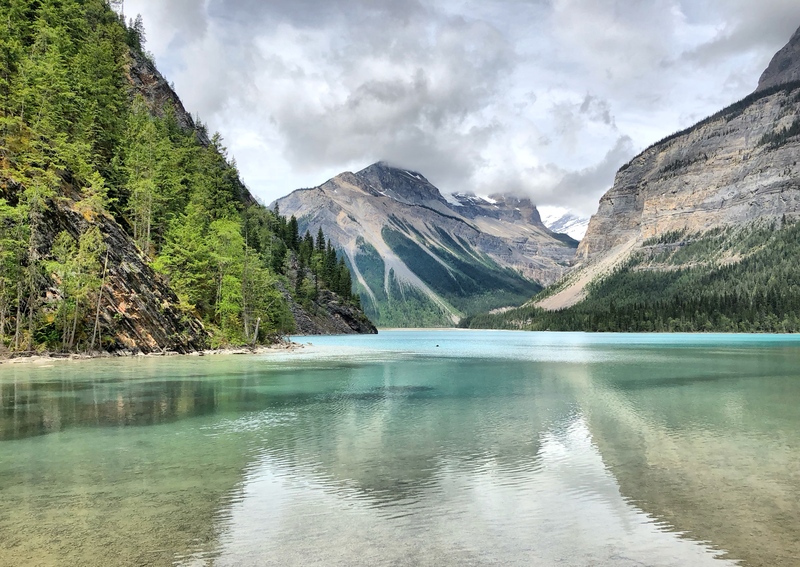 From Jasper you will drive to Wells Gray Provincial Park and from here you can find a scenic trail that will take you to a lake at the foot of Mount Robson. The hike will take around 3 hours, and makes for a perfect picnic spot. So be sure to pack your lunch and plenty of supplies. For those brave enough, you can also opt for a refreshing ice cold dip in the lake for a polar plunge challenge. 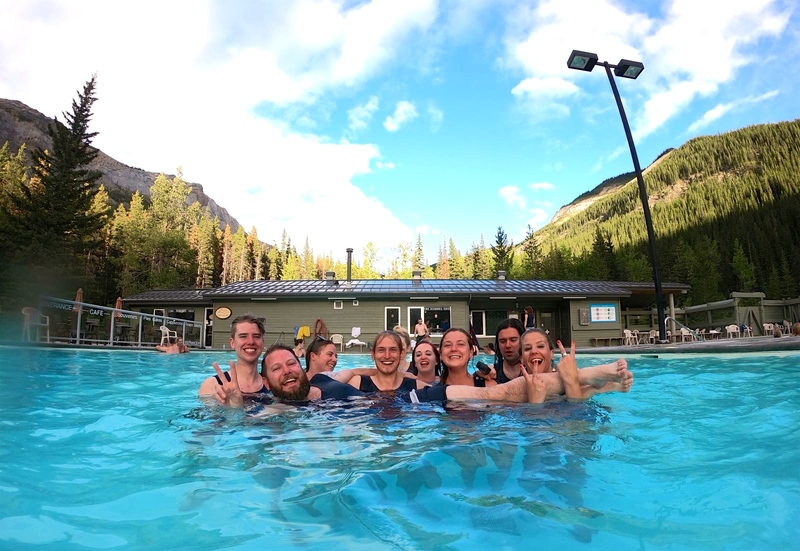 A trip along the Rockies wouldn’t be complete without first stopping off at a picturesque hot spring to relax after a long day of hiking and exploring the wilderness. Miette Hot Spring has been around for hundreds of years, and was set up and protected by National Park Canada. You can also find stylish bathing suits from the 1920s which you can rent out from the front desk for a few dollars if you fancy setting the mood and going back in time to when the centre first opened in the area. Totally worth a stop off on the way along your road trip. Wells Gray has stunning waterfalls – Clear Water B.C. Waterfalls, waterfalls and even more waterfalls. 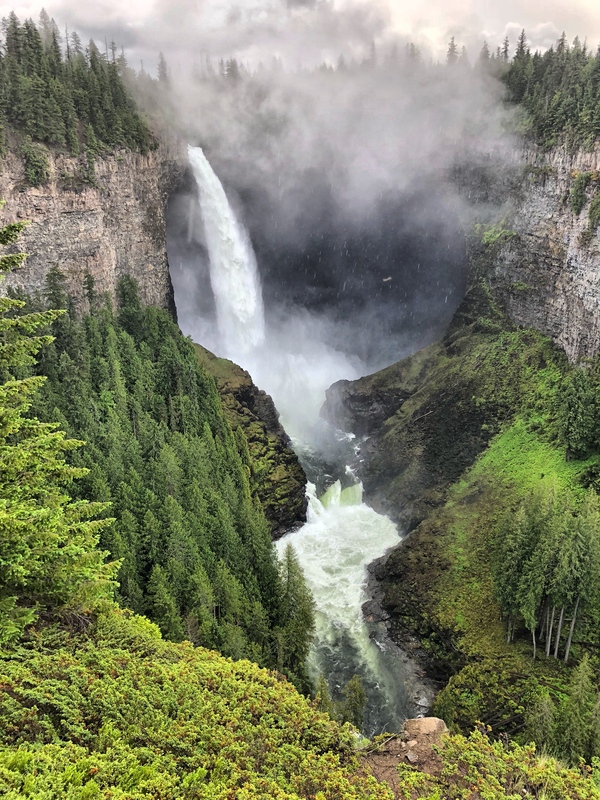 The Wells Gray provincial park is home to Clear Water in British Colombia, and a large selection of waterfalls that can also easily be seen in a day as long as you have a car and base yourself in the area. A lot of great falls to discover here in Wells Gray Provincial Park. Some you will need to hike to, and others you can easily check out from a short distance from the car park. You can pack in a lot of waterfalls over a few days here. 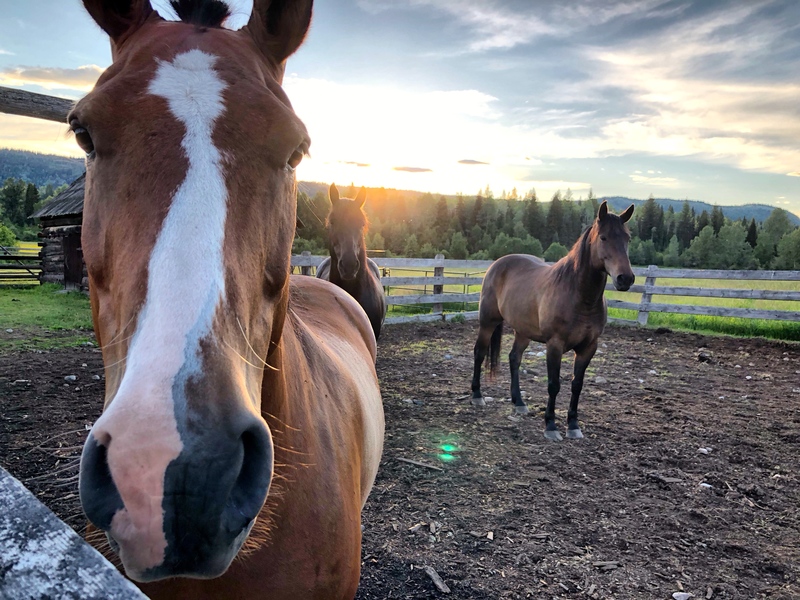 We set up camp at Wells Gray Guest Ranch for some old style salon fun. This was one of the most characteristic spots we pitched up camp and stayed at, which was sort of like staying on a wild west film set. Yahoo cow boy! Getting into Whistler, we followed the Historic Gold Rush Trail passing many little quaint towns such as Lillooet. See the Olympic rings and travel from peak to peak on the cable car. Be sure to check out the nightlife and fine dining places like Sushi Village, which will not leave you with an empty belly. There’s so much to enjoy in this super hip Canadian town. We pitched camp at Riverside campground which is a short walk to the Whistler centre along the yellow brick road foot path. Vancouver was the final destination on the Mountie tour, where we would be sadly ending the trip and flying back to the UK. Before we said our goodbyes to the group we packed down our camp, enjoyed some farewell pancakes Heather our lovely guide prepared for us, and drove from Whistler stopping off at Shannon Falls Provincial Park to see our final waterfall of the trip. 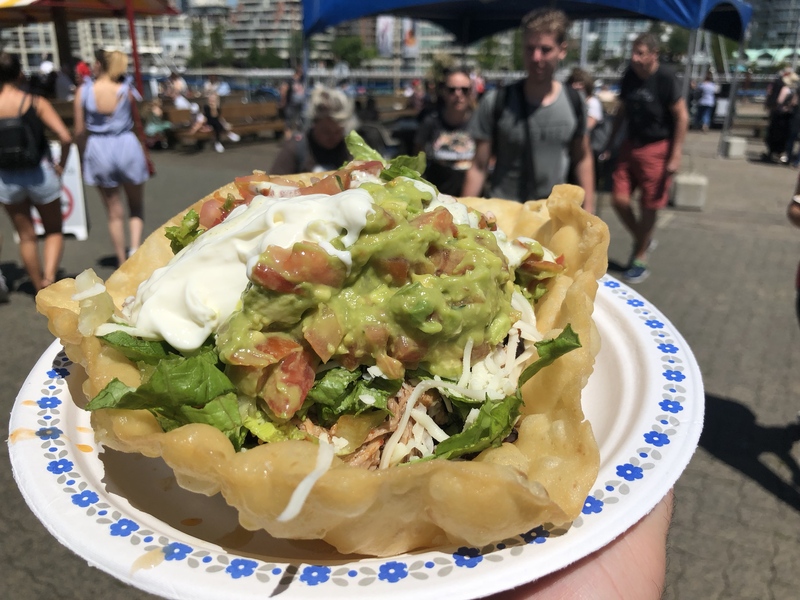 When we made it to Vancouver we still had half a day to kill, so we decided to grab lunch on Granville Island which has an incredible food court with endless choices, giving us a brief taste of Vancouver life. 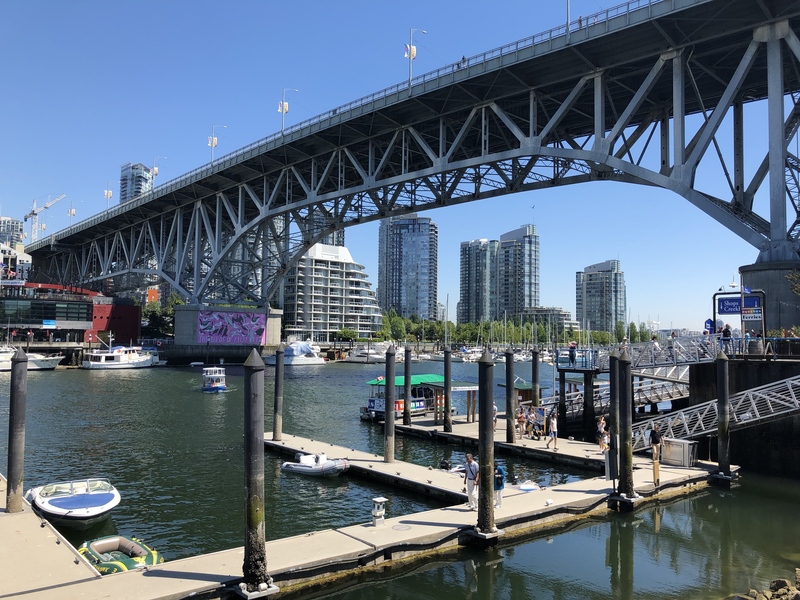 Our stop in Vancouver was short but sweet, and gives me many more reasons to return and spend more time in Vancouver in the close future. Off to the airport we went to depart back to the UK and draw our Canadian Rockies adventure to an end. It’s always sad saying goodbye to a great group you’ve got along so well with over the course of 10 days, but what a journey with shared memories that will last for a lifetime. 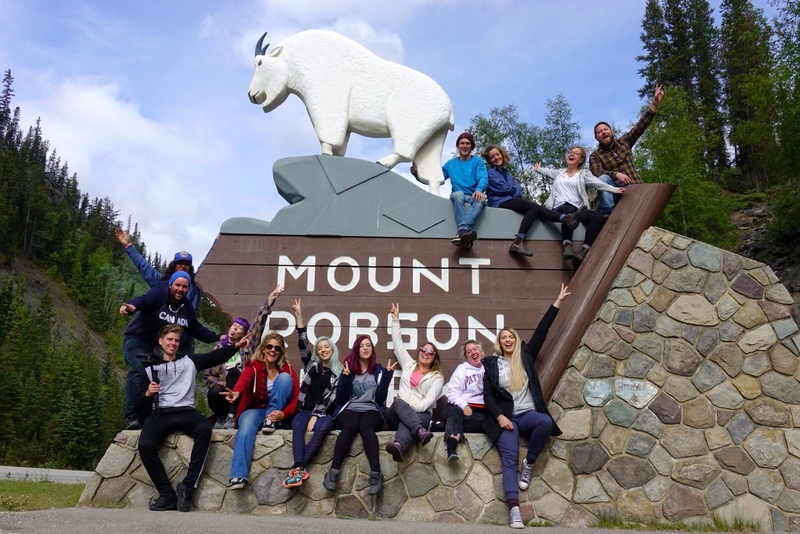 What a complete blast the #ITrekHere Trek America Mountie tour was! From start to finish it was a wonderful trip which I enjoyed taking part in. Camping out in the Canadian Wilderness and sharing the journey with an awesome bunch was totally awesome and the fact that Canada is so stunning and full of natural beauty really made this trip extra special. Be sure to check out Trek America if you fancy exploring the Western side of Canada.